The city of Ugarit was destroyed around 1200 BC and rediscovered in 1928. It was a Canaanite city-state like Jerusalem. Until the Ugaritic texts were discovered, all we knew about the Canaanites was what was said of them in the Bible. The texts that survive are fragmentary, but at least give us a small window into what the Canaanites believed. The Ugaritic texts have similarities to both the Gilgamesh epic and passages in the Bible. The storm god/fertility god Baal later becomes head of the gods. He lives on Mount Zaphon and is often described in a similar way to Yahweh in the Bible. We know Baal worship happened in Israel due to repeated attacks upon it, as well as names that contain Baal. Yahweh and Baal are both called Rider on the Clouds (Psalm 68:4). Psalm 29 may even have originally been a hymn to Baal. Asherah is El’s consort. She appears in 2 Kings 23:4 among other places. The word asherah is also used in other places to refer to her sacred tree or pole which was associated with fertility (the worship of which is repeatedly forbidden in the Bible). Anat is Baal’s sister, a violent goddess who wears a necklace of human heads and a belt of human hands. She’s a goddess of the hunt and war. Her name only appears in the Bible as part of a few place names. Astarte is another goddess we don’t learn much about. She appears frequently in the Bible. See 1 Kings 11:5 for one example. 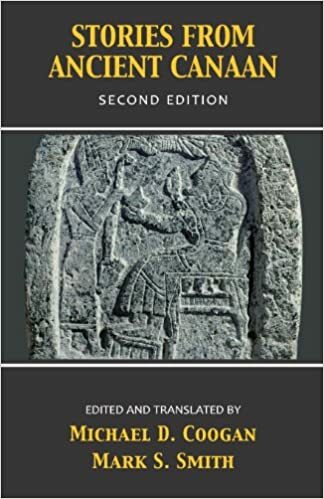 The craftsman and prophetic god Kothar-wa-Hasis was thought to live far away in Crete or Egypt, reflecting Canaanite dependence on foreign artisans. Kotharat is the goddess of marriage and childbirth. Death is Baal’s main rival and represents sterility and drought. The desert is Death’s domain. The underworld is reached by raising two mountains that block its entrance. The underworld is a damp, watery place called the Swamp, the Pit, Filth, or the isolation ward. Death is said to crawl in through windows in Jeremiah 9:21 and there’s a reference to this in the Ugaritic texts. In Isaiah 25:8, Yahweh swallows Death, reversing the scene in which Death swallows Baal in the Ugaritic texts. As in the Bible, Ugaritic poetry is based on repetition. The language is very Biblical, which is not surprising since the Hebrews originally descended from the Canaanites. Danel (or Daniel), the father of Aqhat is mentioned in Ezekiel 28:3 as being a wise man. This tablet begins with him practicing the rite of incubation, communicating with the gods through dreams in order to get a son. After his son Aqhat is born, Kothar-wa-Hasis gives him a bow and arrows. Anat wants them, but Aqhat insults her, so she and her henchman Yatpan kill Aqhat. Danel splits open several vultures looking for his son’s remains so he can give him a proper burial and mourns him using the same language David did in 2 Samuel 1:21. Aqhat’s sister Pugat vows revenge. She hides a dagger under her robe and gets Yatpan drunk. Unfortunately, the tablet breaks off here, so we don’t know what happened next. The Rephaim are the divine dead in ancient Canaan. In Job 26:5 they’re said to be inhabitants of the underworld, Isaiah 14:9 says they’re dead kings of old, Deuteronomy 3:11 says one of them was a giant, and they’re mentioned in other places in the Bible as well. In this tablet, Kirta has a dream instructing him to prepare for war and demand the king’s daughter to marry him. He follows the instructions of the dream, but he doesn’t fulfill his vow to Asherah and gets a disease as a result. El heals him, but then his son tries to take his throne and the tablet breaks off before we find out what happens next. Baal becomes king of the gods by defeating Sea and Death. His fight with Sea is much like Marduk defeating Tiamat in the Enuma Elish. Like Marduk, Baal also builds a house after defeating his enemy. Another sea monster called Litan is similar to the Leviathan described in Job 41. Like Baal, Yahweh also beats Sea (Job 26:12-13) and is a storm god (Psalm 104:3-4). Baal dies, but then defeats Death. El obtains two wives and fathers Dawn, Dusk, and the Lovely Gods. “The Lovely Gods” is likely a euphemism since they are the opposite of lovely, devouring everything. In this tablet, El gets drunk at a party. Moon is described as a dog begging for scraps under the table. As El stumbles home, he sees Habayu, a god with horns and a tail (perhaps a precursor to the devil). Habayu smears El with urine and excrement. El then has a hangover. Anat and Astarte hunt to find ingredients to cure him. Interestingly, one of the ingredients is actually dog hair placed on the forehead, bringing to mind people today saying the best cure for a hangover is hair of the dog. Does this saying really go back three thousand years?